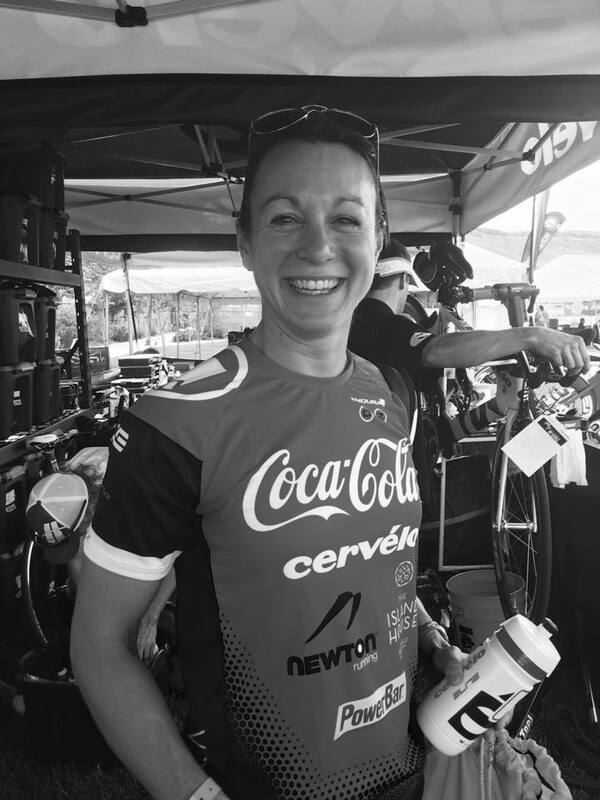 While you are designing your triathlon training plan, consider this mantra; maintain your strengths while working on your weaknesses. This may sound simple, but it is rarely carried out since most people train in the discipline they enjoy most, not the discipline they need to work on most. If they like to swim, then they swim more, neglecting the area they should be concentrating on most to improve their triathlon time for next season, their weakness. For this article, we will concentrate on how to improve your bike performance. Being more specific, I want to provide you with ideas for developing one of the two major shortcomings triathletes have with the bike, developing force. After endurance, the most fundamental fitness component for the cyclist to develop is force, or the ability to produce a forceful muscle contraction. Being specific to force, I use the motto “hills make you strong for the flats, but flats don’t make you strong for the hills.” Force training on the bike is even more important if you are not lifting weights throughout your base and build phases. Force is the ability to overcome resistance such as a rider applying power on the pedals. If you develop force on the bike, you will not only be a faster rider, but you will also be able to ride longer and push bigger gears. Improving your force will make you a more powerful rider; thus a faster rider, provided you do not lose leg speed. For example, if you pedal at a cadence of 90 rpm with a 53×17 gear, then you improve your force to be able to push a 53×16 with the same cadence, your speed will jump from 35.6 km/h to 37.8 km/h. 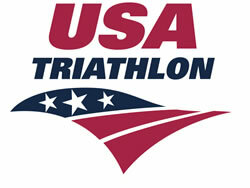 That can be a lot of places improved in an international distance triathlon! The idea behind force training is not to improve the force a fiber can generate, but to recruit more fibers when pedaling. In order to achieve this, body-builders lift heavy weights very slowly to induce a near maximum contraction for a relatively long time. 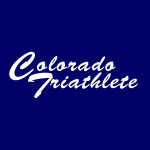 For triathletes, the same principle is applied, but it relates to the specificity of cycling. The best way to generate a near maximum contraction for a long period is to push very big gears at a slow cadence. While staying seated in the saddle when climbing, you will be able to develop even more muscular contraction. Big Gear / Low Heart Rate: Do 3-4 X 5:00 in big gear while maintaining a heart rate in zone 2 (of 5). Sit during the intervals as that best develops the fibers. As with your training, progress the intervals up to 6 X 5:00 depending on your fitness level and the amount of these sessions you have done previously. The objective is to tax the muscle fibers, not the heart; thus keeping the heart rate relatively low. This session is also a good indicator to see how disciplined you are when cycling with a group. Don’t feel like you have to keep up with others, do your planned session now so that you will beat the others come race day! As you get into the build phase of training, this session will progress to taxing both the muscles fibers and heart rate such as: 4-5 X 6:00 in a biggest gear possible with a cadence of 75-80 reps per minute (rpm) on a flat to rolling course. Do each interval to exhaustion with five minutes easy spinning recovery. The 3, 3, 3: Warm up 20:00. On a climb (preferably long), do a continuous 3:00 stand in big gear, 3:00 sit big gear, 3:00 easy spin in small gear. Don’t let your heart rate get above zone 3 at any time. Do this up to 6 times through for a total of 54:00, depending on length of the ride. Keep your cadence at 65-70 rpm with the exception of the easy spinning segment. Again, build to 6 times through. Also, as the season progresses, the intensity will increase. Rep It: Warm-up 10:00. There are no prescribed zones as the heart rate is not important. In your big chain ring and a gear giving you a cadence of 50-60 rpm, every 3:00 do 15-20 revolutions of MAX EFFORT. Complete 6-10. Cool down 5-10:00. This can be done with other force workouts depending on the length of the ride. Force Build: Warm-up 10:00. Maintain 70 rpm throughout as you do 8-12 X :30/at a rate of perceived effort (rpe) of 15 out of 20, then for :30 shift to a bigger gear at an rpe of 17 with a recovery of 1:30. During recovery of all of these sessions, try to maintain a cadence of 100 rpm or more to stimulate your fast twitch fibers. Indoor Force Hills: Raise the front wheel of the floor 4-6 inches. Warm up 10:00, then in zone 4-5 effort with an rpe of 16-19, do 6:00, 5:00 and 4:00 while attacking the last :30 with an all-out effort. Recovery is half of the interval time. Raising the front wheel helps simulate your position while climbing a hill. Again, the intensity progresses as you become more fit. Unless you are the equivalent of a pro caliber cyclist/triathlete and you don’t have training hills in your area, most likely you will be able to do these sessions on flats at the prescribed cadence. If you can’t create enough resistance to generate a high load on the muscles to achieve the big gear cadence prescribed, then either obtain a bigger front chain ring such as a 54 tooth or a smaller rear cog such as an 11. You can also do these sessions into the wind. This will remind you that the wind is your friend! Do not attempt any of these sessions if you have knee problems such as patella or ITB (iliotibial band) issues. When doing these sets, focus on maintaining proper form. Avoid excessive upper body movement. Concentrate on efficient pedal stroke technique from what you learn with your isolated leg and dominant leg training drills (another topic). Don’t fall into the realm of mashing the big gears. Developing force will make you a more powerful rider, and therefore a faster rider. It will also make you more economical on the bike, as at a given intensity, you will need a lower percentage of your maximal strength. Eventually, because the bike leg of the triathlon will be easier, you will have more energy when running off the bike, and indirectly, your improved bike strength will also be beneficial to your run. 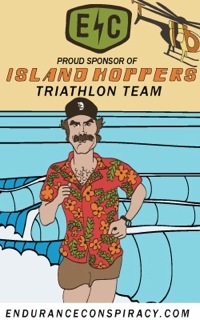 Wes Hobson has competed in over 220 triathlons, from sprint- to Ironman-distance. 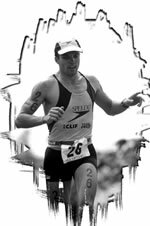 He garnered 35 first places, 60 top-three finishes and 96 top-five finishes during his 12-year professional career that also included being selected "Triathlete of the Year" by the USOC. 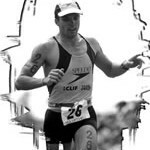 Wes co-authored Swim, Bike, Run, and created three triathlon and cycling related films. Wes coaches multisport athletes and single-sport athletes. He can be found online at www.weshobsonperformance.com.